July marks the official start of summer in Erie. The beaches are open, the lake water is warming, and we enter a sustained period of fun that is family friendly, culturally enriching, and (mostly) free. Many of those events are made possible by funds from ECGRA, the Erie County Gaming Revenue Authority. Without ECGRA support, many of the events we enjoy each year would be less robust, would carry a cost for admission, or would simply cease to take place. Consider that these events added value from the millions of dollars gambled at the Presque Isle Downs and Casino. The real benefit, one might argue, comes from the millions of dollars in funds awarded to the Erie School District and other county schools, colleges, and universities; or grant money awarded to community centers that program after school activities, summer programs, and life-skills training for at-risk youth. And we have yet to mention the significant funding of business and industry innovation that will carry this region into the 21st Century, even as some in our community would seem content to mire in the vestiges of mediocrity. 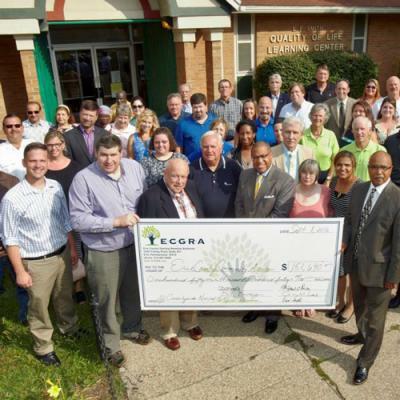 Last year, ECGRA invested more than $6 million in this community, exceeding its revenues by nearly one million dollars thanks to a large reserve that was established to support multi-year projects and to insure security should there be a catastrophic change in gambling legislation, like the bill proposed in the Pennsylvania House of Representatives last month. That bill included language that would dismantle agencies like ECGRA and place gaming revenues in the hands of local elected officials. Such a change is made more curious by the tacit support for it by the Erie delegation in House. While the Democrats voted against the bill because it allowed video gaming in bars – technology many believe will impede upon casino revenues – they still supported the provisions that do away with ECGRA, despite the fact that Rep. Scott Petri, a Bucks County Republican who chairs the House Gaming Oversight Committee, lauded ECGRA as a model for the entire state at a hearing last March. Our local officials point to a lack of organizational transparency and the fact that ECGRA spent gaming funds to hire a lobbyist (to protect gaming funds) as primary reasons for their support of turning ECGRA's $5.5 million share of gaming revenue over to Erie County government. Neither charge has merit. ECGRA's website includes an archive of meeting minutes that are comprised of verbatim transcripts of requests for funds, detailed inquiry and analysis by the ECGRA board, as well as rationale for what was, and was not, funded. It is more than the expanded generalizations of agenda items typically found in governmental minutes. Check out the January 2017 minutes to see the thorough vetting of a request made by Rep. Flo Fabrizio and affiliated parties for funds to build a new ice rink at Family First Sports Park, which has, to date, gone unfunded because the requestors failed to show how the market would support another ice rink. And while lobbyists and lobbying have become pejorative terms during the past two decades, ECGRA needed a lobby to help secure the gaming revenues upon which our community has come to rely, in part, because it could not rely upon our legislative delegation to do so alone. But then again, maybe the real objection resides in the fact that legislators don't like this lobby because it allows the rest of us to see how government really works in Harrisburg. Jim Wertz can be reached at jWertz@ErieReader.com or you can follow him on Twitter @jim_wertz.